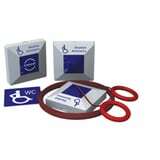 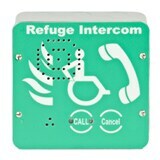 The Emergency Voice Communications System (EVCS) is for use as a Fire Telephone system, Disabled Refuge Call system or as a combined system when both Fire Telephones and Disabled Refuge Points are required. 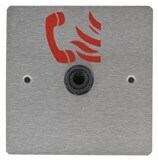 Designed to comply with BS5839 Part 9 2003 the EVCS is a fixed, secure, bi-directional fully-duplex voice communication system, to assist fire fighters within high rise buildings or large sites where radio communication may not be possible. 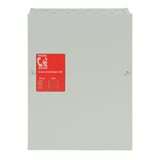 Where both a fire telephone and disabled refuge system are fitted to a building BS 5839 Part 9 specifies these should form a single system. 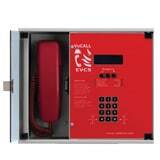 The EVCS Network 8 system consists of three main components; the master handset (EVCS-MS), the exchanges units (EVCS-XC), and outstations (type A or type B as appropriate). 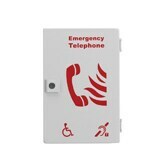 The EVCS Type B outstation is designed to fully comply with BS5839-Part 9:2003 for use as a Fire Telephone system, Disabled Refuge Call system or as a combined system when both Fire Telephones and Disabled Refuge Points are required. 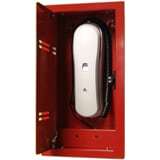 The EVCS Type A outstation is designed to fully comply with BS5839-Part 9:2003 for use as a Fire Telephone system, Disabled Refuge Call system or as a combined system when both Fire Telephones and Disabled Refuge Points are required. 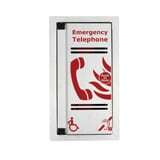 EVCS Type A outstation designed to fully comply with BS5839-Part 9:2003 for use as a Fire Telephone system, Disabled Refuge Call system or as a combined system when both Fire Telephones and Disabled Refuge Points are required. 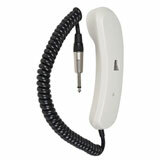 Loose Handset with Jack Lead.